There’s no getting away from it — the housing market is hard to read and worryingly tricky in places. Most surveys show prices roughly static, others reveal big falls in the number of buyers and predict yet more uncertainty ahead as a result of Brexit. With just 16 weeks until Christmas, anyone selling or buying needs to be poised for action this autumn and, most of all, well-informed. So what’s going on in the marketplace? SELLERS: The number of properties on sale in England and Wales is up 10.3 per cent in a year, says home.co.uk, a website that monitors transactions. So make your home stand out from the crowd by sticking to the golden rules — de-clutter, finish odd jobs, maximise wow factor inside and out, and most of all be realistic on the asking price. BUYERS: The market is softening with average UK asking prices 2.3 per cent lower (that’s £7,000 for the typical home) now than in July, says Rightmove. In London, the falls are bigger at 3.1 per cent. Agencies everywhere are relaunching properties that didn’t sell over the summer, so watch for bargains. Homes linger longer on sale at this time of year (up to 72 days on average in northern England or 67 days in Greater London), so sellers may be more willing to accept lower offers as autumn progresses. FIRST-TIMERS: Contrary to popular belief, first-time buyer numbers are at their highest since 2008 and in recent months have accounted for 51 per cent of all purchasers. The average UK deposit of £33,127 (or £114,952 in London) remains an obstacle, says the Halifax. But those who can buy should do so, to take advantage of deals which may not last for much longer. At the moment, for example, first-timers buying homes under £500,000 pay no stamp duty on the first £300,000. Meanwhile, over 80 per cent of people using Help To Buy — where the Government lends up to 20 per cent of the price of a new home, meaning the purchaser has to find only five per cent deposit — are canny first-timers. DOWNSIZERS: They still have advantages, mainly that they’re usually cash buyers so are popular with sellers, who often choose them above purchasers relying on uncertain mortgages. But high stamp duty and escalating moving costs, plus a shortage of purpose-built retirement flats and houses, can be deterrents for older movers. Many would-be downsizers choose Equity Release instead, allowing them to remain in their home, but enjoy some of the capital it’s built up. 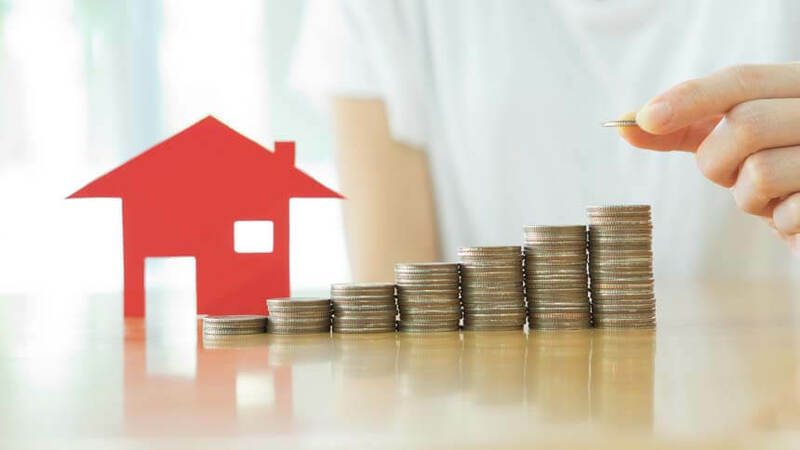 Owners aged 55-plus took £971million out of their homes this way between April and June — a third more than during the same period in 2017. LANDLORDS: Government bids to level the playing field between landlords and first-time buyers in particular means buy-to-let properties now attract an extra three per cent stamp duty and there are far fewer tax breaks than in the past. Even so, the investment remains popular. You have to choose carefully to get the highest yields — the proportion of the price of the property that you get back in rent over a year. A league table from Simple Landlord insurance puts Durham at the top at 11.3 per cent; Warwick at 10.3 per cent and Manchester at 8.5 per cent. TENANTS: High demand and limited supply of homes to let means one thing — rents are likely to rise in many places. Even so, lettings agency Hamptons International says rents across the UK rose a mere 0.2 per cent in the past year and in London they actually fell 1.6 per cent. At least some tenants have more choice: as well as buy-to-lets, many cities have purpose-built, build-to-rent blocks. These often have high-quality interiors and repair teams located on site, but do charge higher rents in return.